Next year, Morris Lubricants will celebrate its 150-year evolution; from candlemaker to global oil exporter. Grocer and candlemaker James Kent Morris could never have envisaged the future evolution of his business to a global oil exporter when he set up shop in Shrewsbury on 7th December 1869. The small business that he established at the age of 22 has developed into Morris Lubricants, which today employs a workforce of more than 240 people and exports high-quality lubricants to 90 countries worldwide. Next year, the patriotic British company, which proudly badges all its products with the Union Jack, celebrates a significant milestone – its 150th birthday. A series of exciting events and activities is being planned, many involving the company’s celebrity brand ambassadors Guy Martin and Rebecca Jackson. The Morris family’s link with the business has been maintained throughout its history and today the reins rest in the hands of Andrew Goddard, a fifth- generation descendant of the founder. Delving into the company’s history reveals that its first venture into the oil industry came in 1877, when James Morris started importing paraffin from Pennsylvania, as competition from paraffin burners began to threaten the candle market. Selling paraffin also allowed him to sell heating stoves and lamps. Tragedy struck in 1891, when, at the age of 44, James died following a pony and trap accident and his eldest son, also called James, took over the business at the age of 18, later to be joined by three of his brothers and two of his sisters. James then spent 10 years as a travelling salesman for the Anglo-American Oil Company, responsible for developing sales of petrol and paraffin in North Wales. Meanwhile, Morris’ first major oil contract was secured in 1915 – supplying oils and greases to the Sentinel Waggon Works in Shrewsbury. 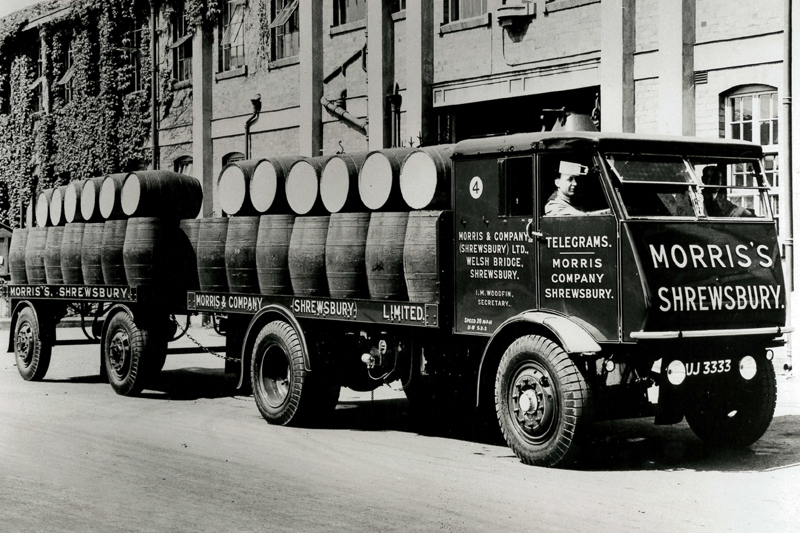 Demand for lubricants increased rapidly and the business expanded its range to include substantial quantities of government surplus oils, purchased from the Disposal Board set up at the end of the First World War. This enabled the company to develop nationwide distribution for its own manufactured products. Leonard Paterson, James’ nephew, joined the business in 1927, when it purchased the Corbett’s Perseverance Iron Works in Castle Foregate, Shrewsbury, for £6,500. 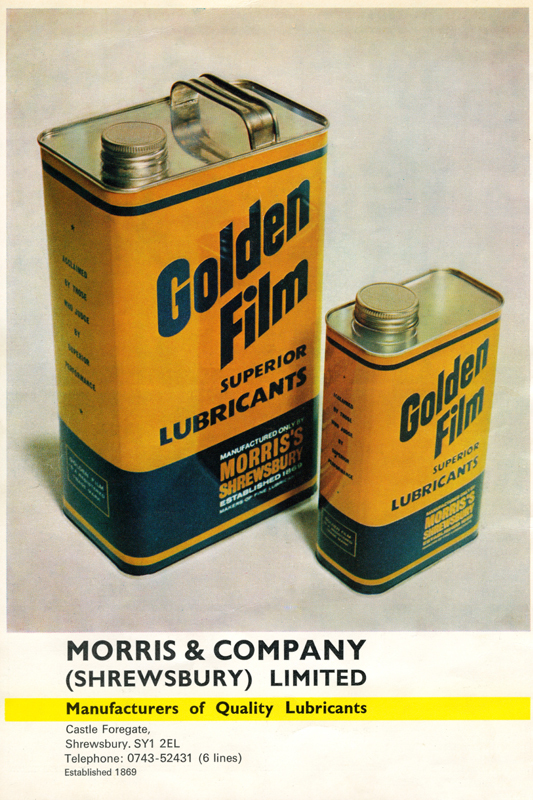 This proved a pivotal decision in the company’s history, as Morris Lubricants is still proudly making products from the site today. 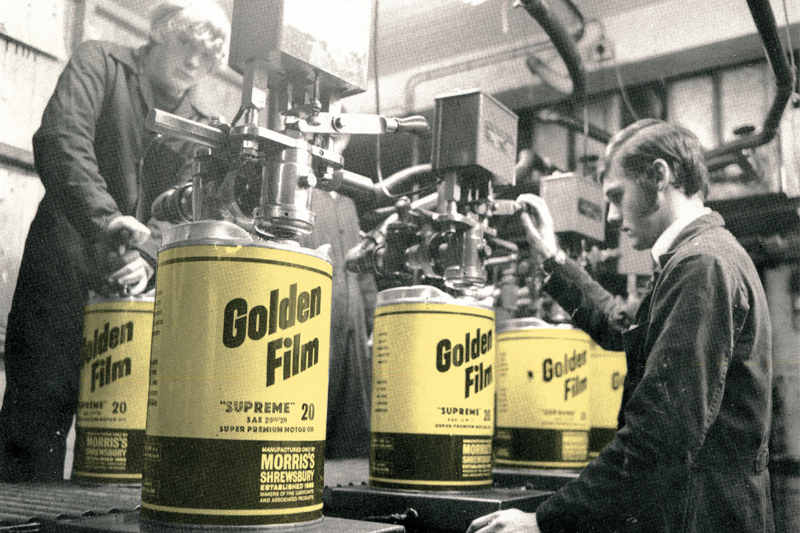 In 1942, the company introduced the ‘Golden Film’ oil product, which has seen many changes in branding over the year but remains very popular with its loyal band of customers. In 1935, Leonard was appointed the position of chairman, a position he held for 40 years. David Goddard, Leonard’s son-in-law, then joined the company as a director and was followed in the 1990s by his sons, Edward and Andrew. Andrew is now managing director, while Edward heads up sister company, Morris Leisure, which owns six caravan parks. From humble beginnings to worldwide distribution, the family-run business has constantly invested in cutting-edge technology, not only to keep up with the competition, but in an effort to set itself apart from them. The company is now looking to the future and putting new processes and technology in place that will continue its evolution, in order to meet the ever-changing demands of customers across the UK and around the world. New equipment and computer systems to improve quality and service, a customer relationship management system that is focused on customer interactivity and new processes to streamline business operations are all in the pipeline. Although firmly rooted in Shrewsbury and keen to expand in the UK, Morris Lubricants has broadened its horizons by recently opening a second production facility in India. The company produces more than 40 million litres of oil per year and sells more than 800 product lines, including the latest auto and motorcycle lubricants technology for modern engine and transmission designs, as well as tailored grades for the traditional classic, veteran and vintage vehicle markets. Continual investment in staff training and analytical equipment for its laboratory ensure quality control at every stage of the production process, which is strictly monitored. Close collaboration with the laboratory enables the customer service team to offer expert advice on the type of oil needed for certain machinery. Another support service offered by Morris Lubricants is the ‘WHATOIL?’ website, which allows technicians to search by car registration or vehicle make and model for the recommended oil or lubricant to use in a specific vehicle. Amongst the 150th anniversary projects planned is a new educational Augmented Reality app, designed to demonstrate the flow of oil through an engine, and the continuing growth of the MLR ambassador programme for motorsport talent. There will also be The Talisman Tour, a project that sees a Fowler B6 Big Lion Road Locomotive built completely from scratch by Alex Sharphouse and a small team of enthusiasts in the Lake District with support from Morris Lubricants. A new online presence and fresh image will be provided by the launch of a new website in 2019, and the company will be represented at major events, including Autosport and Automechanika. So, it’s safe to say that 2019 is going to be a year to remember for Morris Lubricants. With 150 years of knowledge and experience gained, it is fascinating to see how much the industry has changed. Considering all the developments in technology, who knows where the company will be and what it will be working on in another 150 years’ time. For more information on the products available from Morris, click here.